Spring is definitely in the air and if you’re planning to run in the Door County Half-Marathon and Nicolet Bay 5K on May 7, time is running out to reserve your Door County lodging on the water for the race weekend. Located near Peninsula State Park – the site of the race – Ephraim Shores Resort is the ideal location to be your race headquarters. The popular half-marathon often fills to capacity, which means that Ephraim, WI lodging options fill up quickly. Ephraim Shores guests have multiple room options to choose from that weekend – from a cozy room for two to larger kitchenette suites that can accommodate family and friends. Since race weekend is also our opening weekend and Mother’s Day weekend, Ephraim Shores is offering a special $85 room rate. With that kind of deal, rooms will go fast, so it is important to make your reservation now. Our guests have access to great amenities, including an indoor pool and whirlpool (which might feel good after running a race! ), sundeck, private waterfront deck, exercise room and Wi-Fi. Our resort also has beautiful views of Eagle Harbor and an ideal spot to sit back and watch a beautiful Door County sunset. We also recently put in new flooring in the resort’s common areas and in ten guest rooms. 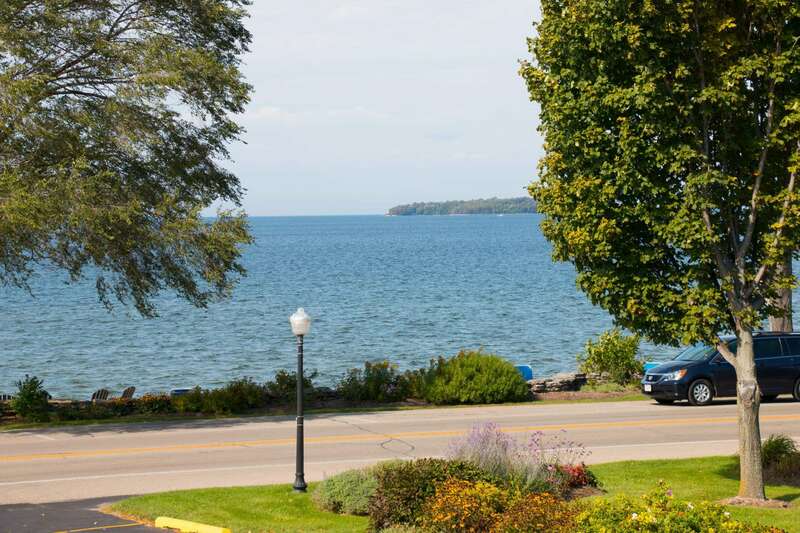 When it comes to Door County lodging on the water, Ephraim Shores Resort is a great location. It is not only close to Peninsula State Park, but is also centrally located among the different Door County Peninsula communities. Ephraim Shores Resort has the best to offer when it comes to Ephraim, WI lodging opportunities. Clean, comfortable rooms along with our resort amenities make us the ideal place to spend your weekend away. We are currently taking reservations on our website, http://ephraimshores.com. You can also call us at 877-854-2371 to set up the plans for your visit. Our resort staff looks forward to providing you with a relaxing stay so you can enjoy everything Door County has to offer.